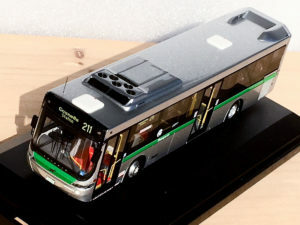 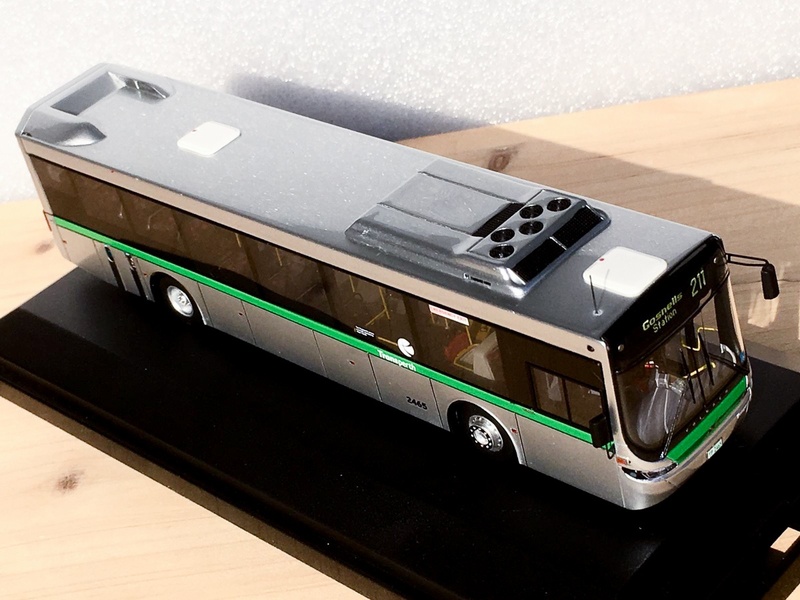 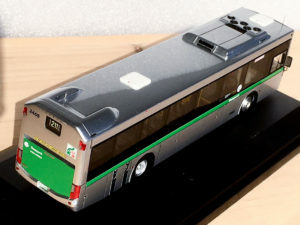 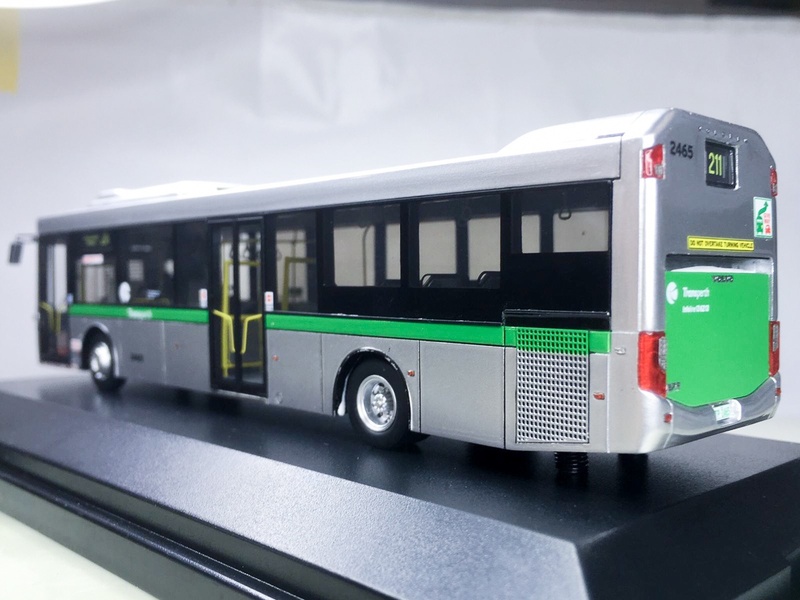 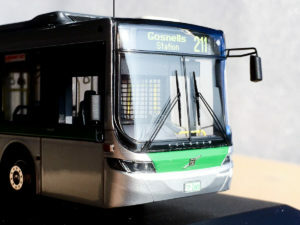 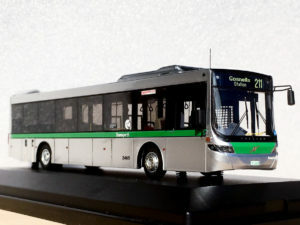 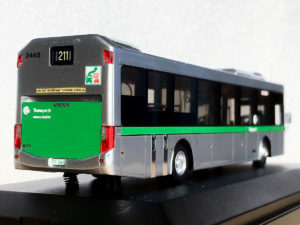 This 1:76 scale bus model depicts a Transperth Volvo B7RLE featuring the Volgren Optimus body, operating for Swan Transit. 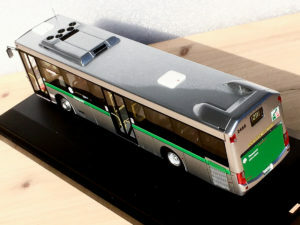 livery depicted by this model. 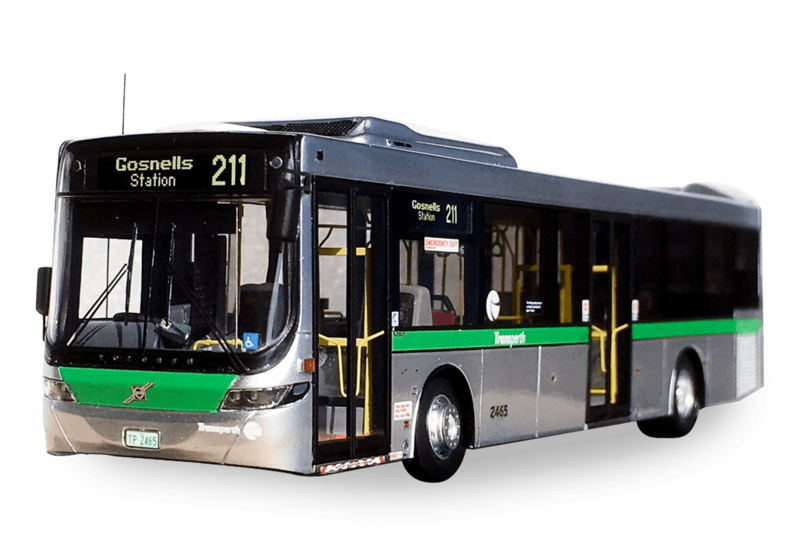 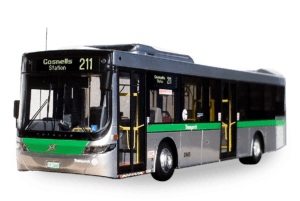 Transperth oversees bus, train and ferry services across the greater Perth area. 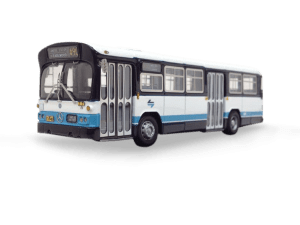 Swan Transit is a subsidiary of Transit Systems, an organisation with international public transport experience. 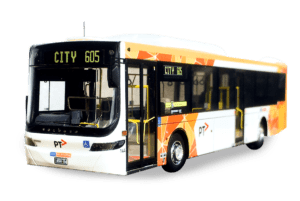 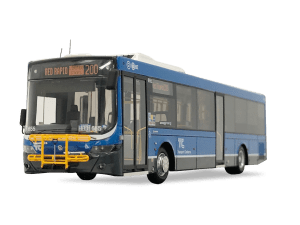 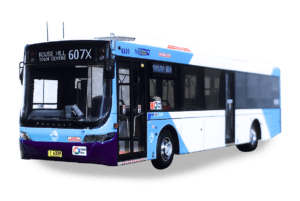 In Perth, Swan Transit has nine depots, almost 600 buses, over 1,000 staff and 27 million passenger journeys each year.